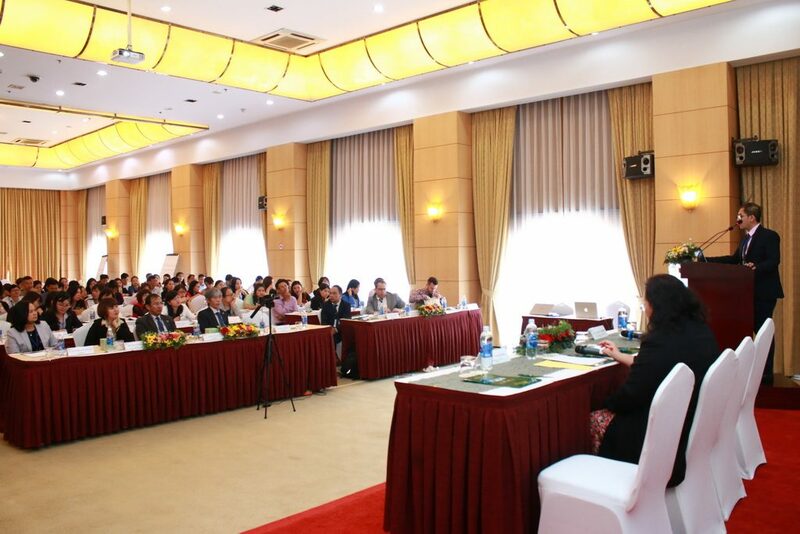 SEAMEO Regional Training Center in collaboration with the National Foreign Languages Project co-organized the International Training Workshop on “Experience and Solutions of Asian Countries in Creating Environment for School Students to Use English” on October18-19, 2018 in Da Lat City, Lam Dong Province. At the training workshop, speakers and participants actively participated in presentations and discussions on experience and solutions of Asian countries in creating environment for school students to use English in and outside the classroom. 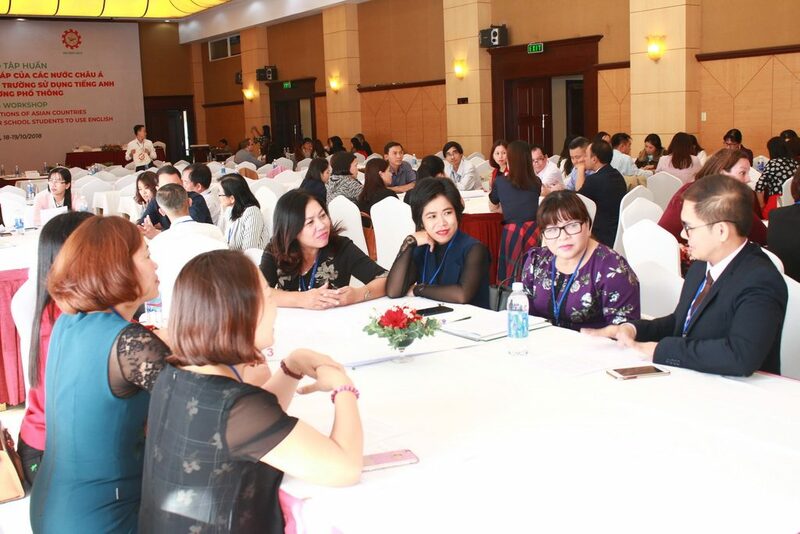 Particularly, the focus of the workshop was on current situations, challenges and solutions, and successful models/good practices of creating environments for English learning and using in and outside the classroom in Vietnam and in some Asian countries. 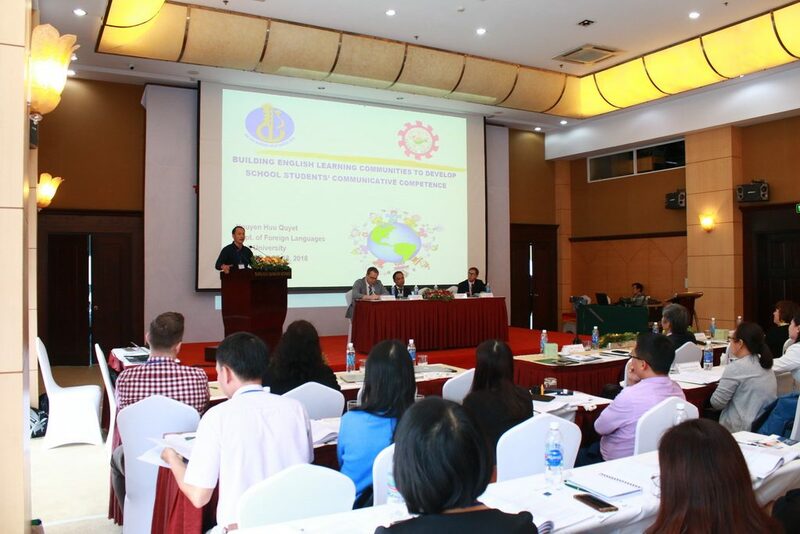 In addition, management and strategic orientation for the implementation of these models across schools in Vietnam was also included in the discussion. The workshop was facilitated by invited international speakers from South Korea, Japan, the Philippines, Thailand, the United States and Vietnam. About 100 participants, who were provincial English specialists, high school leaders and teachers, from 47 provinces across the country attended the workshop.